Your workspace contains your desktop, your apps and your data. Connecting to your workspace is through Workspace app. What if I’m on a traditional PC? You use Workspace app. What if I’m on a mobile device? You use Workspace app. What if I’m on a public kiosk? You use Workspace app. 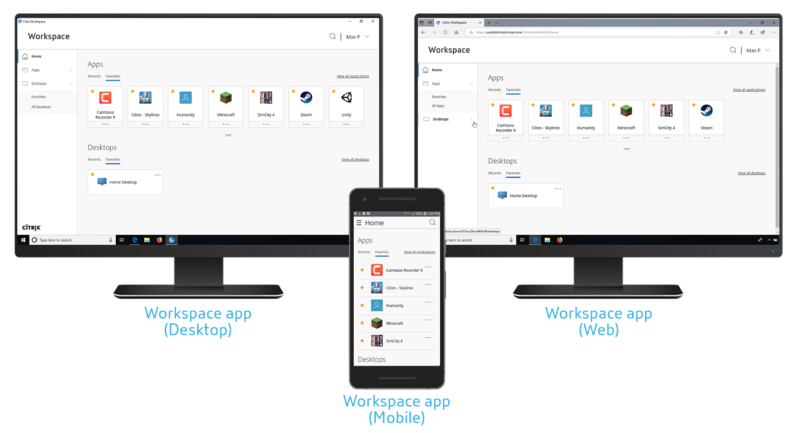 To get a better grasp of Workspace app, take a look at the Workspace app – Tech Insight video that walks you through the user experience, admin experience and conceptual architecture.